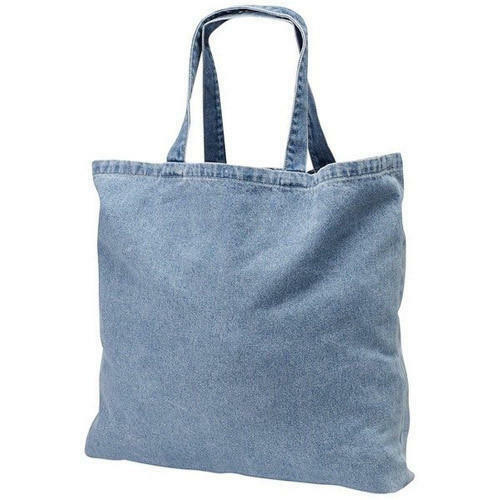 As per the increasing and altering demands of our valued customers, we offer an innovatively developed Cotton Denim Bag. We are engaged in this business for several years in national wise, and our customers are scattered over the nation. Now to expand the company business we have started to export worldwide to reach our products. The company is served by dedicated factory having in-house facility of cutting, stitching, printing, packing and quality control. A strong work force of craftsmen, designers and administrative staff helps in catering to the international needs, trends, fashion and quality standards. Competitive pricing and prompt delivery on agreed time schedule, has enabled us to witness rapid increase in customer confidence.Prime Jute Bags is as an export – oriented Eco-friendly and Reusable Jute Shopping Bags, Jute Promotional Bags, Canvas Tote Bags, Cotton Bags, Canvas Shopping Bags, Canvas Fashion Bags & Jute Fashion Bags manufacturing company in Kolkata, India; specialized in the manufacturing & exporting of premium quality jute bags, cotton bags, juco bags & canvas bags. Quality is our first priority so we use best quality fresh biodegradable raw materials to manufacture premium quality products with latest fashionable trends. We offer various types of Eco friendly & handcrafted jute bags from Kolkata. We offer reasonable rates for wholesale jute shopping bags & cotton shopping bags to our clients.